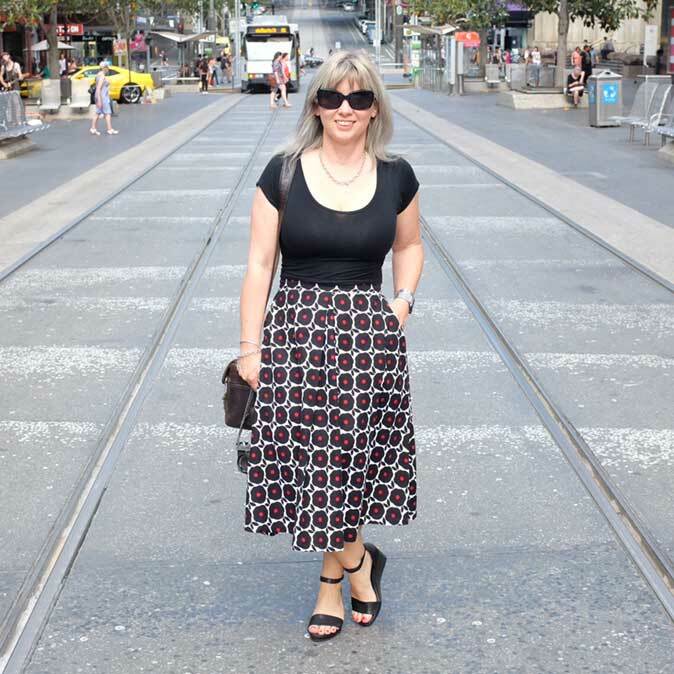 Last week saw some beautiful springlike weather, giving us a hint of warmer days to come…which means I am going to have delve into my wardrobe to reacquaint myself with my spring outfits! 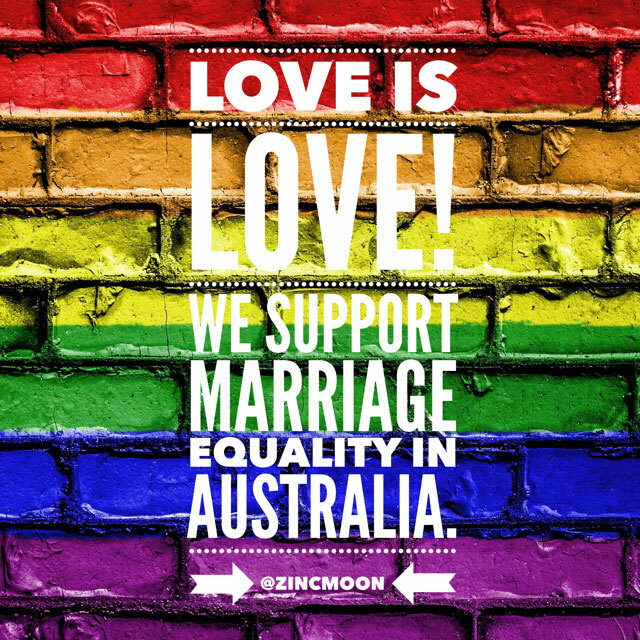 But in typical Melbourne style, the cold weather quickly returned so this edition of What I Wore consists of winter coats through to t-shirts! 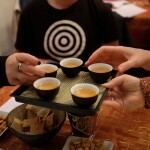 Monday was back to reality and cold weather after a lovely weekend away. 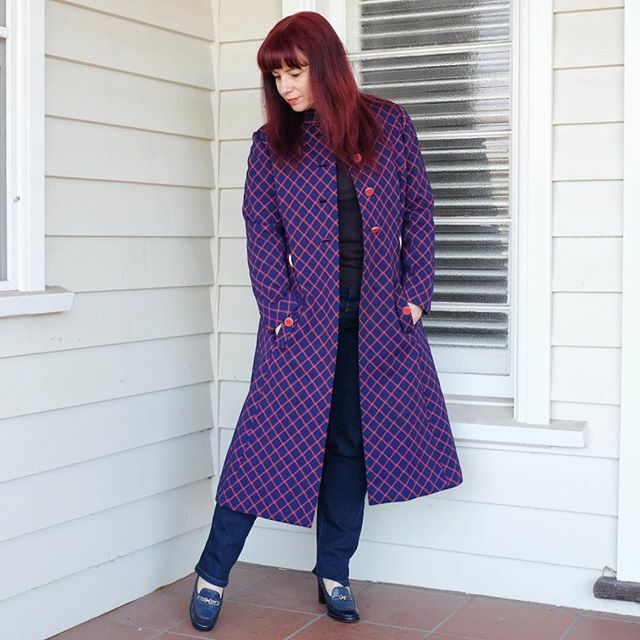 I wore Katies jeans with vintage coat from Yesteryear Vintage and vintage shoes found at Frocks and Slacks…I love the colours in that coat! I had one of those days on Tuesday…nothing major, just a whole lot of little annoying things. 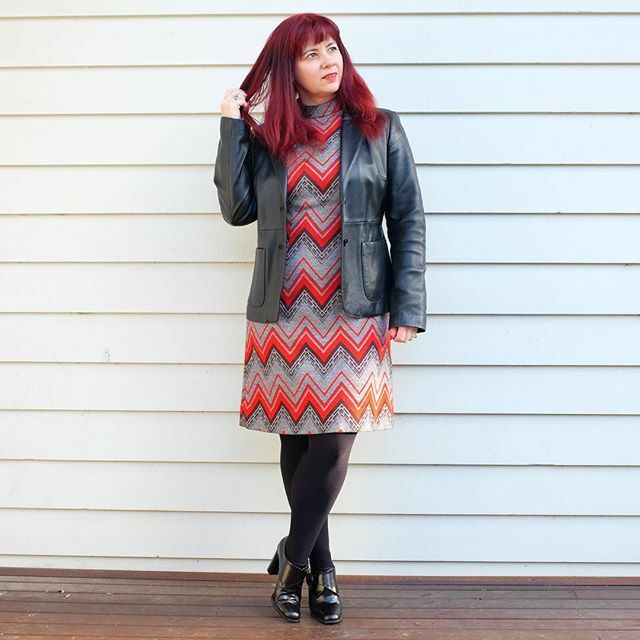 So that called for a colourful vintage dress with my Dangerfield leather jacket (current) & boots. Oh, and it was raining while I was trying to get an appropriate outfit shot…yep, one of those days! 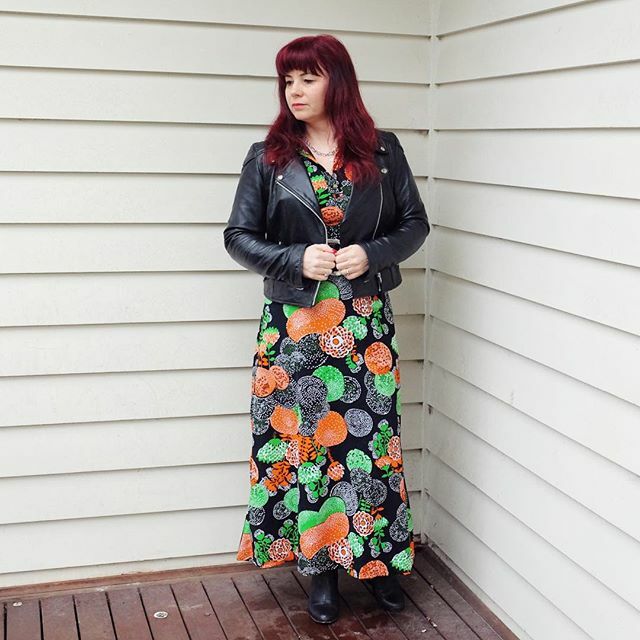 Wednesday turned into a busy day…wore a vintage dress found at Vintage Sole with a leather jacket I have had for years, black tights and black boots found at That Little Vintage Shop (in Ballarat)! Thursday was another lovely sunny day so got stuck into some spring cleaning which meant a more casual outfit! 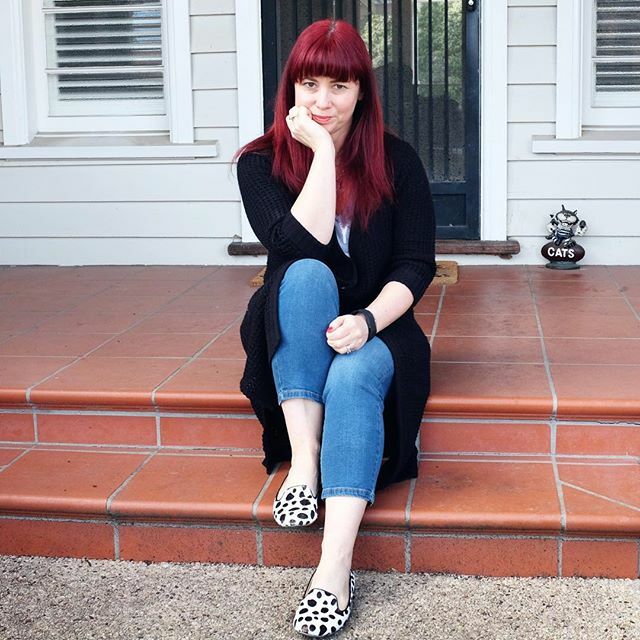 Wore Katies cropped jeans and longline black cardigan over a grey t-shirt….flats are Wittner from a few years ago…always get compliments on those whenever I wear them! Friday was a mild but very windy, cloudy day…one of those days where you can’t decide whether you are hot or cold, so I went with layers! 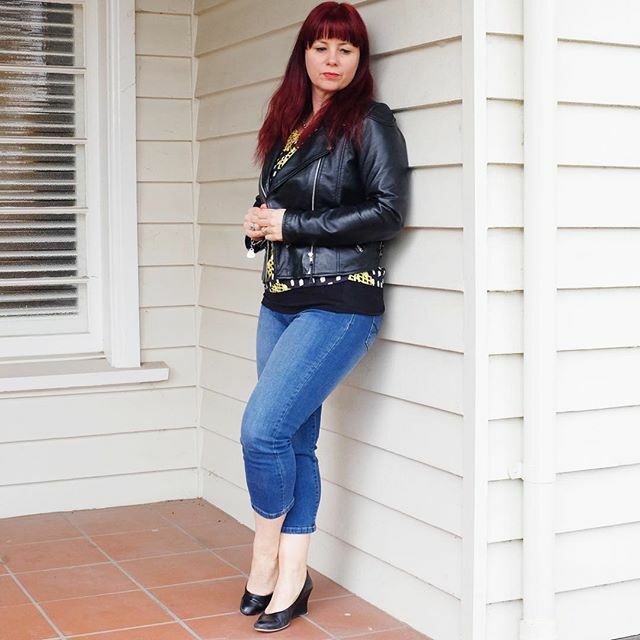 Wore Katies cropped jeans (current)…again…with a Gorman top (last season) over a black t-shirt and my Dangerfield leather jacket (current)…black wedges finish off my outfit. Saturday was definitely casual day…the warmest day we have had so far, so we went for a lovely long walk, which included checking out a local footy match…and I got my first attack of hay fever for the season. Outfit consisted of a GAP t-shirt (last season) with…you guessed it….Katies cropped jeans (current). 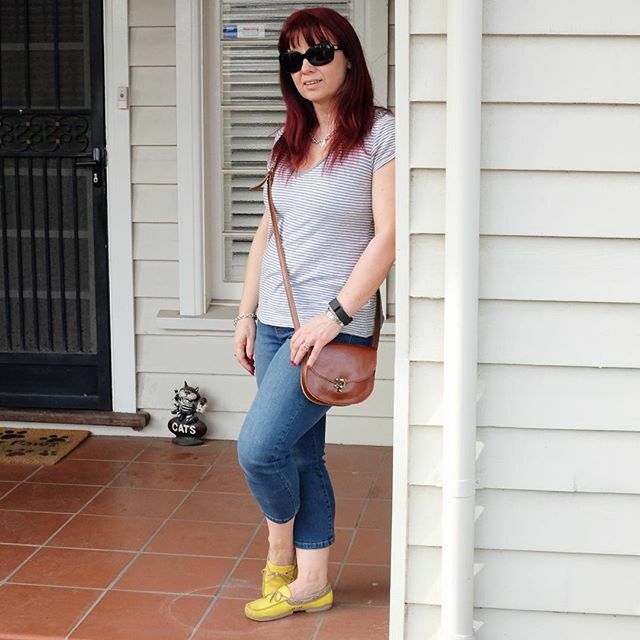 Leather bag was found That Little Shop and shoes are Crocs…I bought them last year and wore them to death through summer…time to bring them out again! 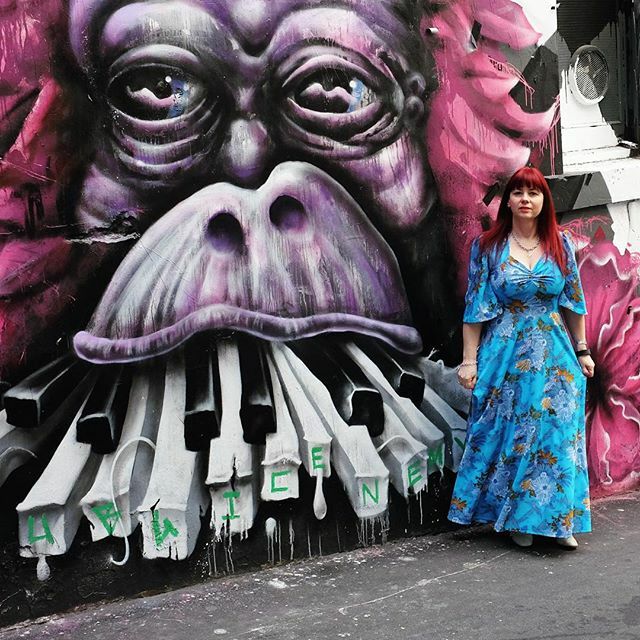 Sunday morning was spent exploring some of the lane ways in the city…I wore a 70s dress found at Yankee Sweetheart Salon with 60s shoes…so all in vintage & clashing wonderfully with the street art!